We bring forth our vast industrial experience and expertise in this business, involved in providing Stone Chain Necklace Set. Gopi Diamonds is engaged in this occupation since 1977 and contending in this demanding market professionally by the sound business techniques. We are a Sole Proprietorship (Individual) based entity, headquartered at Chennai, Tamil Nadu. The products we wholesaler are best in terms of quality as we made association the most certified vendor of the market. 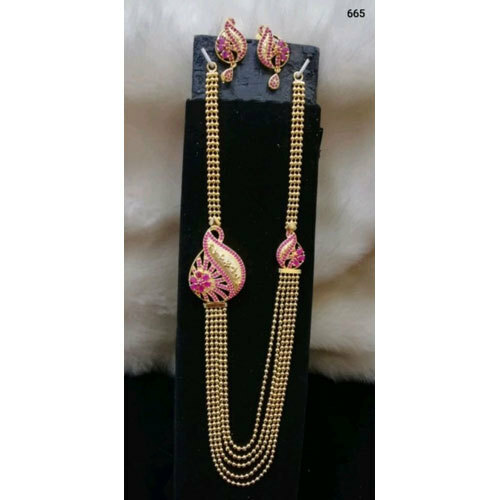 The products in which we deal include Fashionable Earrings, Fashionable Necklace Set and Artificial Jewellery. Moreover, our highly reliable vendor base has always supported us to cater the never-ending demands of clients.